It's 13:23 in Roswell, USA right now. Cottage School A webcam in Roswell, Georgia - camera location: Cottage School. Alpharetta, Georgia: McTiger Weather, 5.3 miles away. Smyrna, Georgia: Belmont Hills Elementary School, 13 miles away. Marietta, Georgia: Lockheed Elementary School, 13.6 miles away. Tucker, Georgia: Dekalb County EMA, 14.3 miles away. Lawrenceville, Georgia: Gwinnett County EMA, 16.2 miles away. Lawrenceville, Georgia: Georgia Gwinnett College, 16.2 miles away. Canton, Georgia: Holly Springs Elementary School, 16.5 miles away. 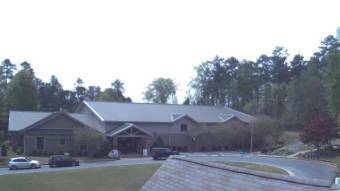 Acworth, Georgia: Frey Elementary School, 18.3 miles away.